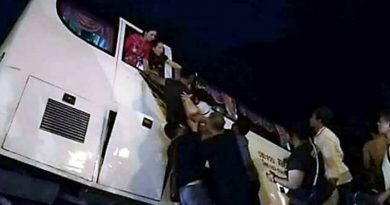 TWO tiger cubs were rescued from a tour coach running from Koh Samui to Bangkok in Chumphon around midnight last night with the driver hired to deliver the protected cubs to an underground market in the capital, Thai News Agency said this morning (August 25). At 15 minutes past midnight Pol.Capt. 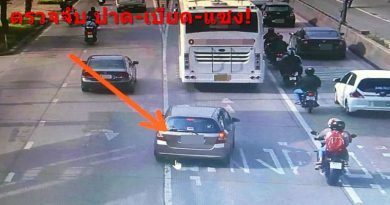 Ittikul Phinitkul of this southern province’s Muang Police Station stopped the air-conditioned tour coach, which was carrying 24 passengers, at a checkpoint on Phet Kasem highway and noticed that the driver was behaving in a suspicious manner. When asked to open the luggage compartment the driver, Somnuk Chaimun, 58, initially refused to give the key but later had to do so and within it, amidst all the bags, were these two two-month-old female cubs in two plastic baskets. 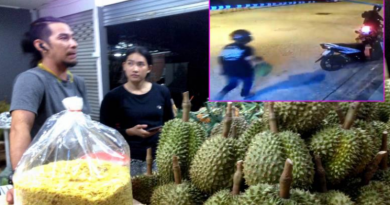 Somuk told police that a man whose name he did not know hired him to take the cubs from Koh Samui and deliver them to a person near the Southern Bangkok Bus Terminal gate. He added he did not know what he was going to be paid as he was only told that he would be paid once delivery was made.